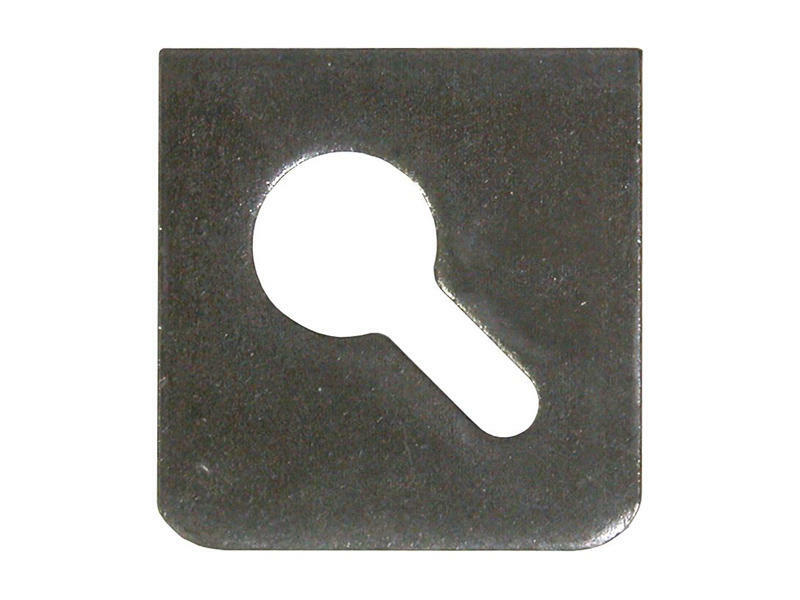 Weld-on steel bango eye fits 3/8" chain. Typically used on dump bodies. Approximately 3-1/2 inches square with radius corners.